If you’ve made it this far into the semester, you know there are some things that you just can’t forget about for class. Time after time I find myself wishing I had my phone charger or a nice cold ice water. 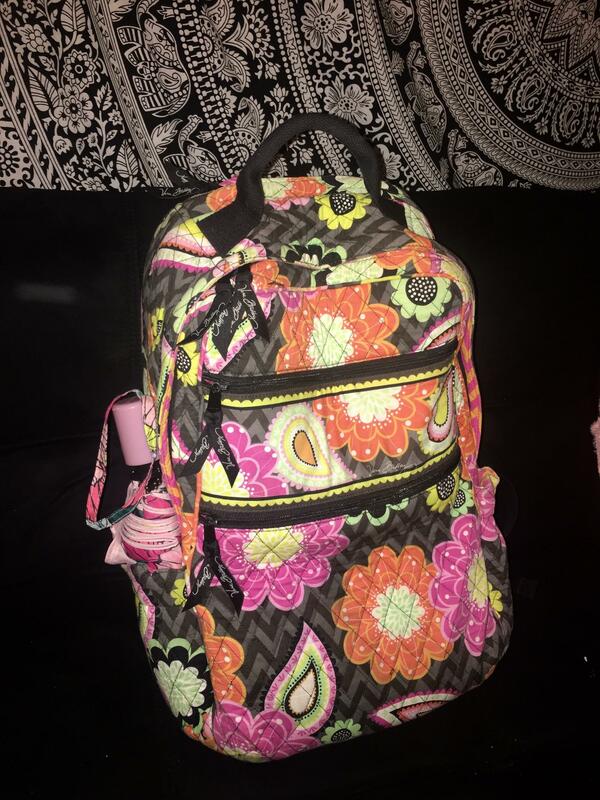 Here are just a few essential backpack items that will make or break your studying! Umbrella! I survived my first year of college without one by sneaking under friends umbrellas and using my hood…but getting SOAKED! Do yourself a favor, save the hassle, and go pick up a good umbrella. You’ll thank me when it rains next week. Tissues. Simply put, you don’t want to be stuck running to the bathroom every 5 minutes to take care of that runny nose of yours. Multicolored pens. I have a photographic memory, so being able to color code my notes is helpful, especially when studying. Chargers. Phone charger, laptop charger, watch charger, headphone charger, camera charger…any electronic you use for school, bring the charger. Especially if you commute and your home isn’t a short walk away! Headphones. It’s easy to get distracted while doing homework on campus with all the chatter. Having headphones in your backpack can help reduce that noise as well as keep you focused! A snack! This one is my favorite. So many times I have gotten up and left class because my stomach was growling too loudly and I had to run home and eat. Don’t be me, and bring a snack. Water bottle or beverage. Whether your favorite drink is water or anything with caffeine (although I prefer the latter), you’ll be thankful you brought it when you’re on campus for 3 hours and the only drink options are out of a vending machine. Chapstick! There have been so many times where my lips are on fire, especially during these cold winter months. If you add anything into your backpack off this list…make it the chapstick. Of course, there are a ton more things you should have with you in your backpack, however, these are some things you might not think to include! Make your semester easier, and add in these backpack essentials. Hey everyone! I’m Sami, and I’m a junior here at Eastern Michigan University! My majors are marketing and communication, and in my free time, I work as a photographer and for the Detroit Tigers on their Energy Squad!